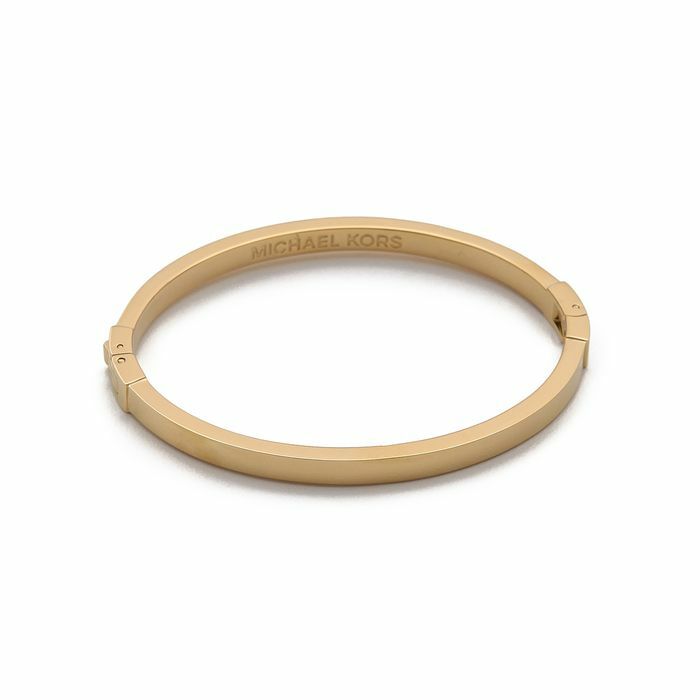 With its gold tone and satin finish, this Michael Kors bangle is the perfect addition to your bracelet collection. The thin, oblong-shaped clasp and sleek shape adds oomph to your current wrist stack or serves as a simple statement on its own. Michael Kors Thin Hinged Bangle Bracelet, $85 at Shopbop.